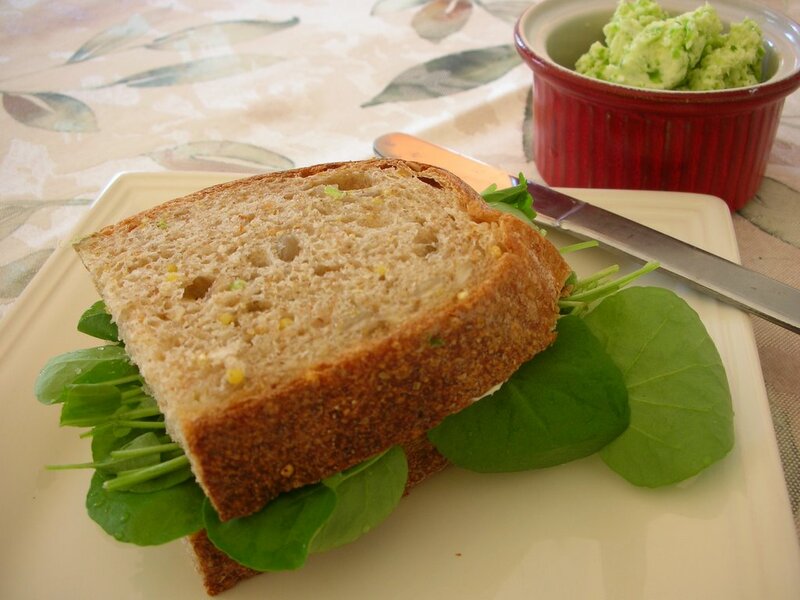 When the ad writers prevail upon us to take a 'bite out of life', maybe they really mean to make a watercress sandwich? Watercress greens are just so fresh, so full of pepper -- and just taste alive. And a whole cup's worth has virtually no calories, no carbs (setting aside today's sandwich bread) and is full of those life-breathing antioxidants. And because the butter is spiked with flavor, only a very little is needed. 2008 Update: This sandwich is a winner! Stir together the ingredients. Makes 4 tablespoons. Spread a very thin layer of chili-lime butter on the bread. Top with watercress. I have never used watercress...I have to try it after looking at your beautiful sandwich!